TEHRAN, May 16 (MNA) – Iran’s Firefighters Organization spokesman says a firefighter’s body parts will transplanted to other patients. Jalal Maleki told Mehr News that “firefighters received a call informing of a fire on a residential building in Bagheri neighborhood in Tehran at 2:18 PM on Tuesday. A young woman with her two children had been trapped inside home. The women managed to escape along with her son, but her 9-year-old daughter was hanging from window and in the brink of a free fall. They were saved by the firefighters. A young firefighter gave his oxygen mask to 9-year-old girl, and subsequently, suffered brain death. This was not the end for the young firefighter, as his family decided, in a laudable act, to give his body parts to be transplanted to other patients in need of his organs. 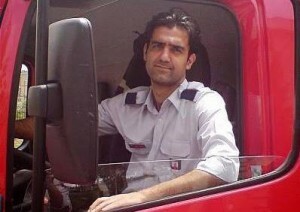 Arrangements for transplanting of organs of young firefighter have been made in Masih Daneshvari Hospital in Tehran.